HO! HO! HO! It's Santa Stumble! 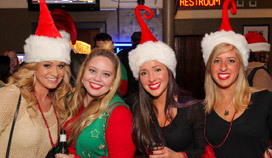 Join the city's largest Santa Pub Crawl! 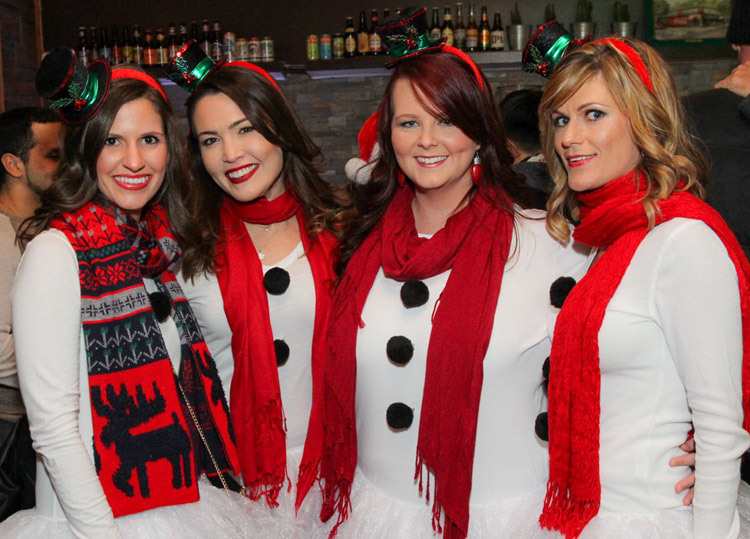 Join us in Midtown for the city's largest Santa Pub Crawl & Holiday Party! You'll see everything from Ugly Sweaters to Holiday PJ's all to help Benefit Children's Cancer Research. Order Your Tickets Now! Ticket Packages AVAILABLE! Ticket Includes: Event Wristband & Map, Admission into all 10 establishments, complimentary holiday themed shots, 3/2/1 specials ($3 Cocktail or $2 Beer or $1 Shot), exclusive food & drink specials, DJ's, live music, party beads & more! 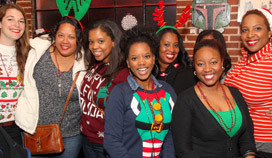 Don't miss this opportunity to catch Midtown Holiday Stumble 4A Cause at this exclusive Atlanta performance! Tickets for this event will sell out! Get yours now! Initial release tickets are available starting at just $15! Click on a picture and use the left and right arrow keys to browse the complete set of photos from Santa Stumble. Midtown Holiday Stumble 4A Cause Live in Atlanta!